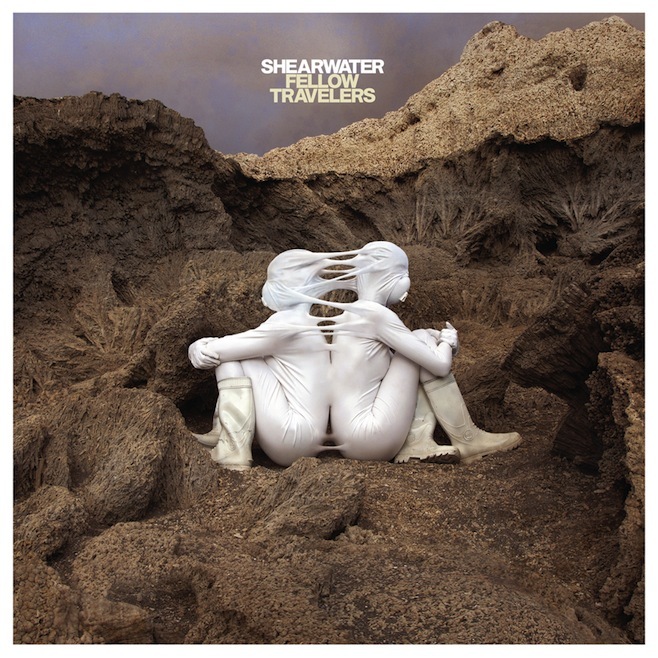 On November 26, Shearwater will release a collection of covers via Sub Pop. As its name suggests, Fellow Travelers offers the band's takes on songs written by artists with whom they've toured-- including St. Vincent, Smog, Sharon Van Etten, Coldplay, Wye Oak, and more. The record also features collaborations. In a press release, Shearwater's Jonathan Meiburg likened the process of making Fellow Travelers to "leafing through a scrapbook" that "brought back the highs and lows of a decade of touring, from dives in Oklahoma and squats in Slovenia to the Fillmore West, the Bataclán, and the MGM Grand..."
Xiu Xiu’s deeply anxious song always seemed like it wanted to be a big rock anthem to me, so we decided to go for it and and blow it out... I love how this song-- about imploring a partner to take Mifeprex, I’m pretty sure-- seems to explode and implode at the same time, a state of ecstatic terror that Jamie’s music often inhabits and that lurks in a lot of my songs, too. I'd have liked a Damien Jurado cover on there as he's my favourite of their touring partners, but the tracklist still looks pretty great to me. Wonder how the studio versions of Cheerleader, Tomorrow, and Fucked Up Life will sound in comparison to the live ones? It will be good to have a well-recorded version of Tomorrow, in any case. Looking forward to finding out what songs are on the preorder bonus 7" too... still holding out hope for Mountain Goats. I'm having "I Love The Valley OH!!" on constant repeat right now. Blows me away.